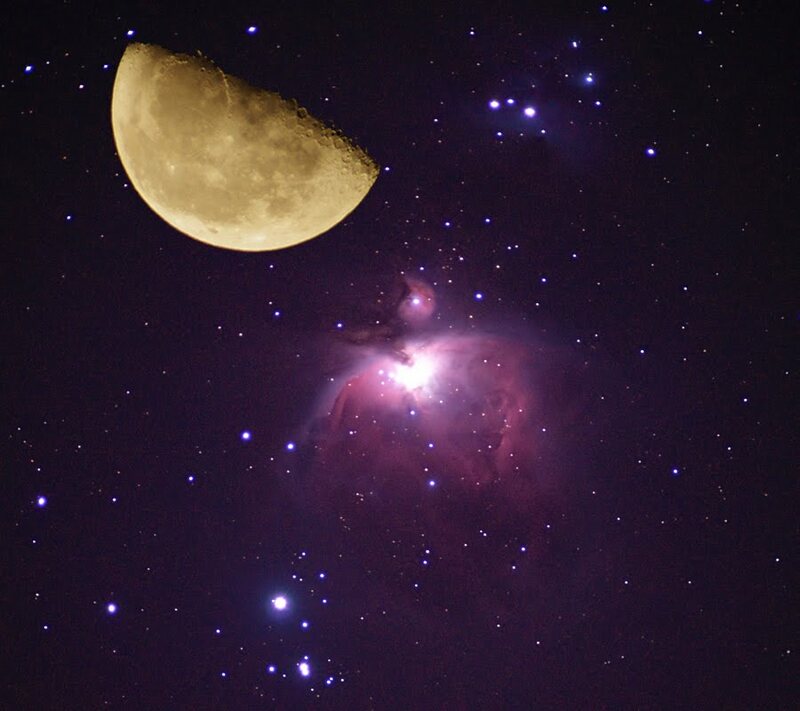 Last night the image of the Moon was captured with an f/5, 80mm refractor and the image of the Orion Nebula was captured with an f/5.5 apochromatic refractor. 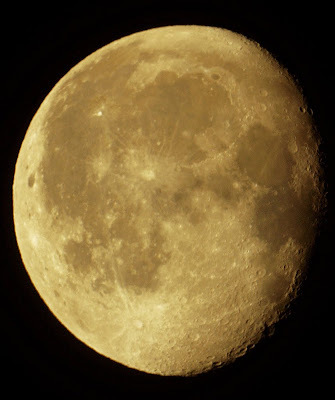 The lunar image was scaled to the correct size and superimposed on the Orion image. The Moon was actually in Sextans below Leo when the images were captured. It is often hard to judge the size of deep sky objects in the sky when they are essentially invisible and have to be looked at through telescopes or binoculars. This image gives an indication of the scale of the brighter parts of the Orion nebula, which actually extends further than revealed in this image. The running man reflection nebula can be seen at the top of the image. 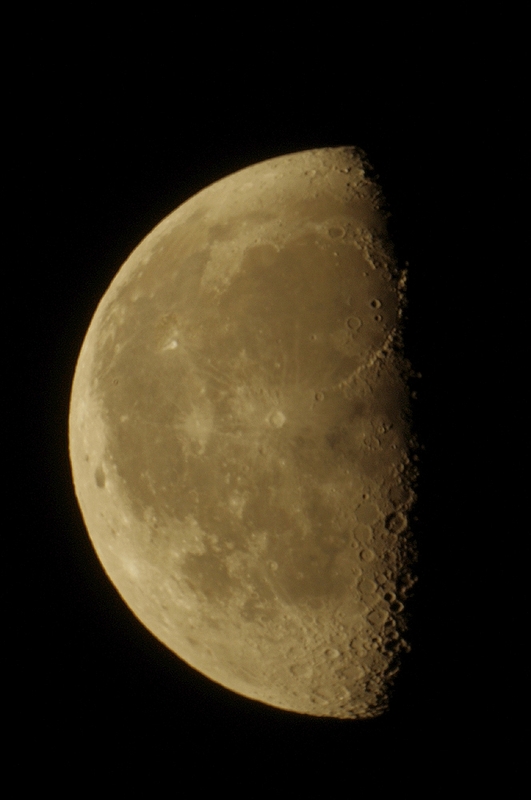 When compared with the last published lunar image on this blog just over 24 hours ago, libration is starting to show.